The Remote Control Unit R&S®GB899 can be used to remote-control one or several receivers of the R&S®EK890 family via the serial and bus-compatible interface. Standard line modems are recommended for distances of more than 100 m.
The Remote Control Unit R&S®GB899 can be used to remote-control one or several receivers of the R&S®EK890 family via the serial and bus-compatible interface. 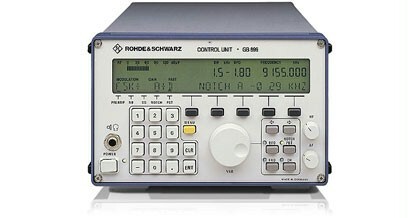 The receivers can be selected and operated via addresses 01 to 99. 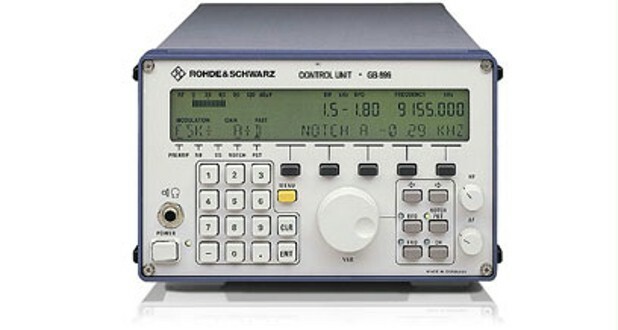 The R&S®GB899 has the same appearance and dimensions as the R&S®EK890.